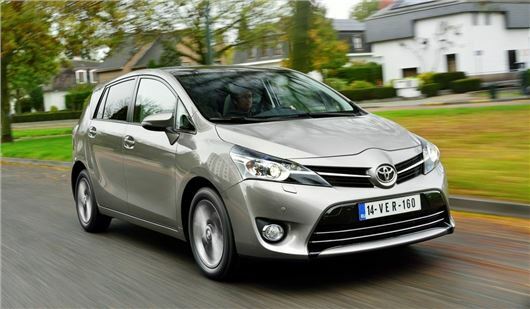 The Toyota Verso will be available with a BMW-sourced 1.6-litre diesel from 2014. There’s no information on prices as yet, but order books open in February and UK deliveries will start in March. The engine is the first to emerge from the BMW and Toyota collaboration, which will see the two manufacturers supplying engine to each other. The four-cylinder 1.6 D-4D diesel engine will offer 111PS and be paried with a six-speed manual transmission with stop-start technology, a first for the Verso range. The engine will be produced at BMW's Steyr plant in Austria, which is also responsible for MINI engines. Fuel economy will be a claimed 62.8mpg and emission figures are still to be confirmed, but provisional data suggests 119 g/km, which places the 1.6-litre engine into road tax band C, with a 12 month rate of £30. Toyota has also confirmed that it will launch a new trim level in 2014 - called Trend - wwhich will include black C-pillar decal to create a floating roof effect, a new five-spoke alloy wheel design, front fog lamps and Touch 2 with Go infotainment system, with sat nav, Google Street View and social media channels. The 1.6 D-4D will be available in all of the Verso’s trim levels – Active, Icon, Trend and Excel – and standard equipment on the basic models will include air conditioning, heated door mirrors and electric front windows.